This entry was posted in Discoveries and tagged austin kleon, steal like an artist. Bookmark the permalink. Can anybody translate #10 for me? 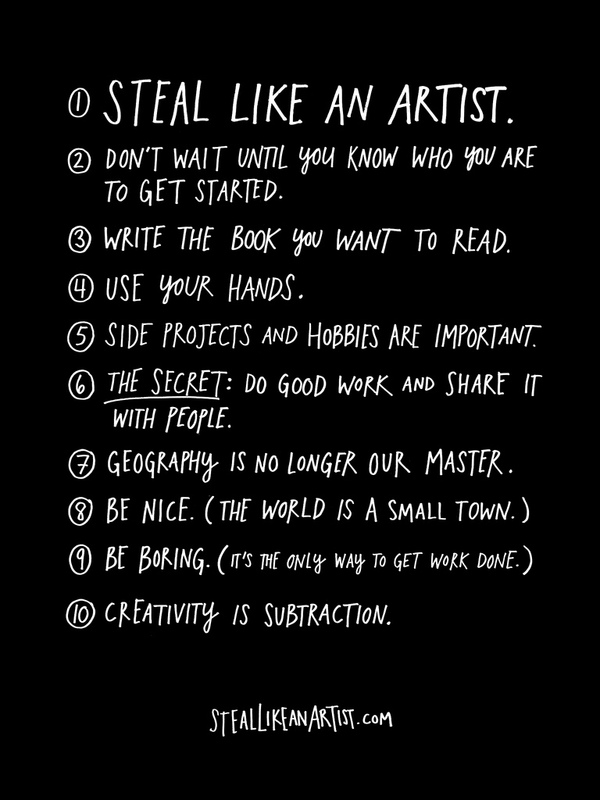 The first 9 make sense to me, #10 just doesn’t make sense, but I’m sure I’m just not “getting it”.